My review: 3.5/5 An interesting book that I read as part of my update on manufacturing/quality/logistics, and that refers to many books that I read a couple of decades ago on the same subjects (including of course Womack's "The machine that...")- with a business aim not in manufacturing, but in services (at the time, specifically banking and outsourcing). 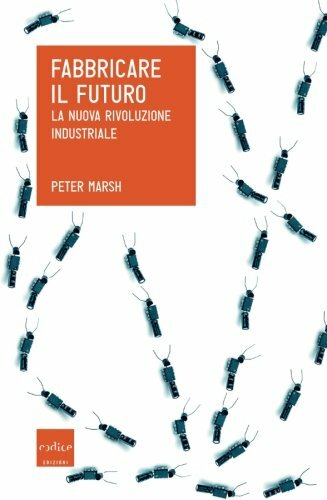 The most interesting part of this book is that, despite the title (in English, closer to the content- in Italian, misleading) focused on manufacturing, is worth reading for anybody (in private or public business, i.e. including politics and non-profit) to understand how the business environment changes over the last few centuries- and how that impacted on everyday life- including on social relationships. Probably, you can complement it with other books from the bibliography (i.e. if you are focus on business, have a look at the Schoberger book listed within the bibliography, but reading reports from the IMF, OECD, and IBRD/World Bank spanning a few years would give you a feeling of the evoution).